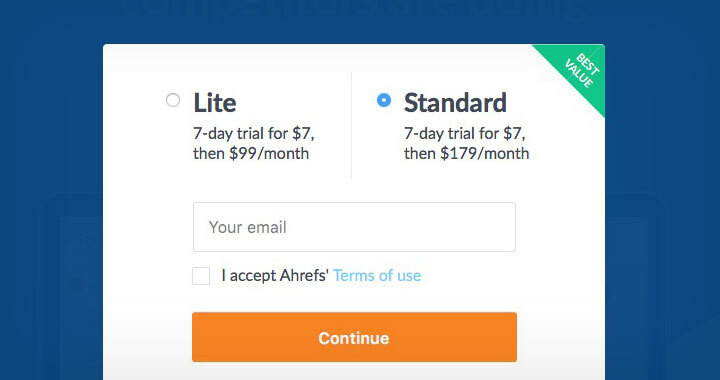 In this post I will explain how to get a discounted, more than a 2 week (17days to be exact) Ahrefs subscription for $7USD. Coupon codes don’t exist with Ahrefs — this is a real working method. And you can save up to $94usd! Note: This works for both Lite & Standard subscriptions. So let’s get started — step-by-step instructions below. Please, follow each step in the instructions. I’ve tested this personally — but if you find any problems or have any questions, just leave me a comment below. Enjoy! This will take you to the 7-day $7 trial promotion — register as normal. And remember, you can choose either Lite or Standard — same price! Step 2 — Choose your plan, enter email and accept terms to continue. 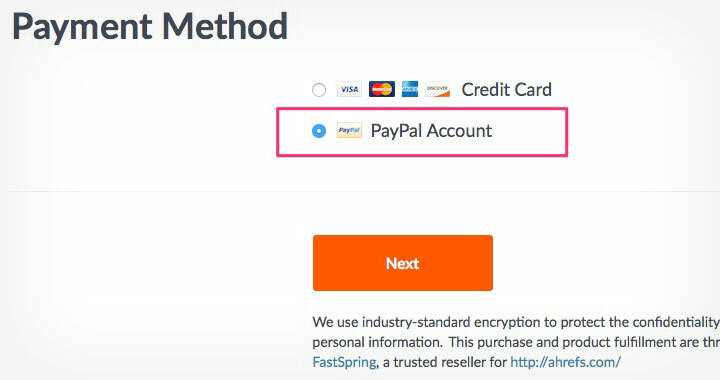 Step 3 — Choose “PayPal Account” as the payment method. Simply go through the final steps to pay $7 and authorize Ahrefs to charge your PayPal account once the “one week” subscription ends. 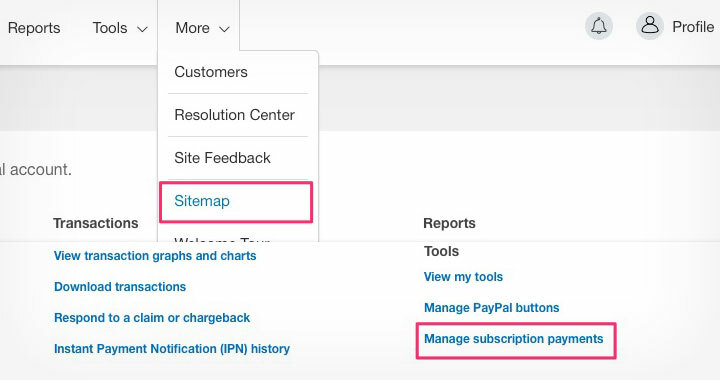 Step 4 — In PayPal: Navigate to “Manage subscription payments”. Please, note that you wont find this under the Tools dropdown and you have to go trough the sitemap page to find the right link. 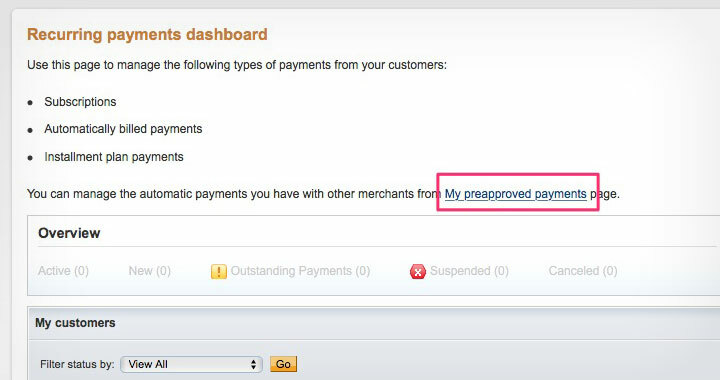 Step 4 — In PayPal: Navigate to “My preapproved payments”. 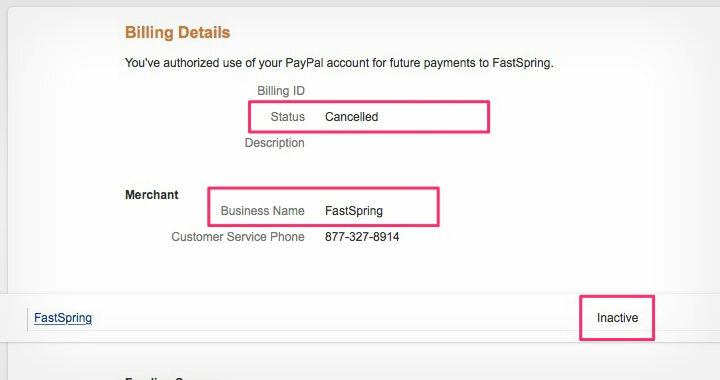 Look for the “FastSpring” billing agreement — which is the billing software that Ahrefs is using to process payments. Step 4 — Cancel the billing authorization. Also make sure that the status is set to “inactive” when you view the list of agreements. This guarantees that you will never be automatically charged for the subscription. All you have done is made a one-time payment of $7usd. The subscription should work for 17days straight, during which you will get email notices to pay for continued service. These are safe to ignore for as long as you can — so take the most out of it. Please, note that if you find any coupon codes these are most likely fake. If you want uninterrupted service, the best discount you can get is with annual billing where you can save 20%. It’s worth it though — as Ahrefs is probably the best link index database and SEO tool there is. Comments welcome as always! Thanks! Ahrefs subscriptions are pretty expensive but with all the features — much more extensive than majestic SEO btw. — I guess it’s justified. And thanks to your instructions I can use it for a project of mine for cheap, thanks a lot. 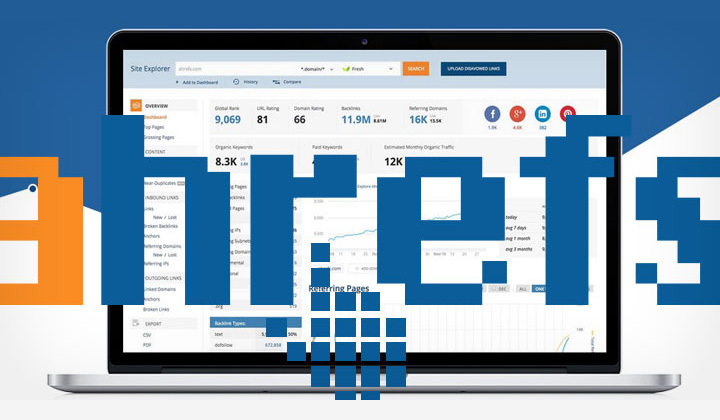 While both are powerful tools and at optimum I would carry accounts on both services — I do agree with you that the variety of available Ahrefs’s tools is just staggering. And they keep up coming with more — in fact they just released “Keywords Explorer 2.0” which is probably the most extensive keyword tool in existence. But not all are looking for so many bells and whistles, and if you only need the main site explorer function, I also think the 99/month is a bit steep. Anyway, happy to hear you benefited and huge thanks for the comment!